One important aspect of the project was the decision to engage young researchers from both Kolkata and Dhaka, who would pursue the research to find respondents and carry out field interviews. With this objective, the project began – in partnership with three research organizations, Centre for Studies in Social Sciences Calcutta, Research Initiative Bangladesh and South Asia Institute – University Heidelberg – with the selection process of two groups of researchers in Kolkata and in Dhaka. In total 16 researchers – eight each in Kolkata and in Dhaka were selected. 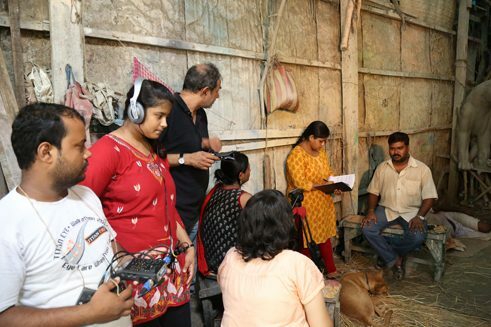 Following two conferences, one in Kolkata and one in Dhaka, the selected researchers went through a series of workshops held in Dhaka in which they were given training in oral history, conducting long narrative interviews and archiving recorded material and other documents. The trainers came from Germany, Dr. Andrea Zemskov-Züge from Berghof Foundation; India, Dr. Manas Ray from Centre for Studies in Social Sciences, and Nazes Afroz, Journalist, Researcher, Artist; Bangladesh, Dr. Meghna Guhathakurta, Research Initiatives Bangladesh. The teams in Kolkata and Dhaka were then tasked to research suitable respondents from the third generation of Partition of Bengal victims. The fieldwork begun in Kolkata in September 2015 with the video recording of interviews of ten chosen respondents. Similarly ten such respondents were identified and their testimonies were recorded in Dhaka in October 2015. The recorded interviews have been worked upon, shorter versions have been prepared and transcribed. The Website www.goethe.de/inheritedmemories will be online from 9. November 2016 – presenting the short and long videos with English subtitles, transcrips and additional material on the Partition of Bengal. Nazes Afroz is a former senior editor of the BBC and the project coordinator of 'My Parent's World - Inherited Memories'.